One of my New Year’s resolutions is to write 8 minutes (or more) every day. At least three days a week I plan to write by hand. Less than 10 minutes seems doable, modest even, but also enough to build on itself. Yesterday, without really meaning to, I wrote for an hour. This morning was just 10 minutes. 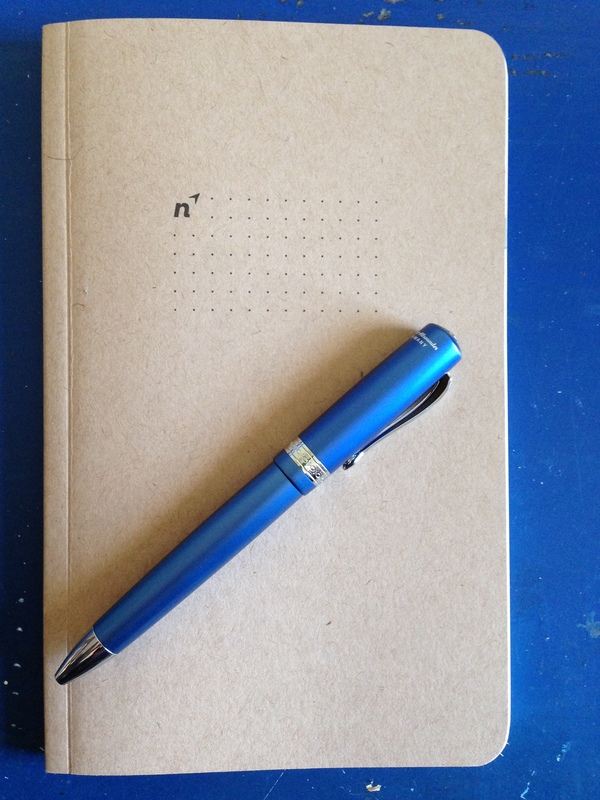 I’ve got at least these two other notebooks to fill up, but for every-day writing I’ve been using a nice 5″x8″ softcover dot grid notebook from Northbooks. I know this is psychological, but that its softcover means I feel more free to just jot things down quickly than I would in a leather or even hardbound journal. So it’s been perfect for my 8 minutes. I love the size. It will fit into a large jeans pocket and is easy to stash in a satchel or purse. I really like the look and feel of it. The cover logo is minimalistic. 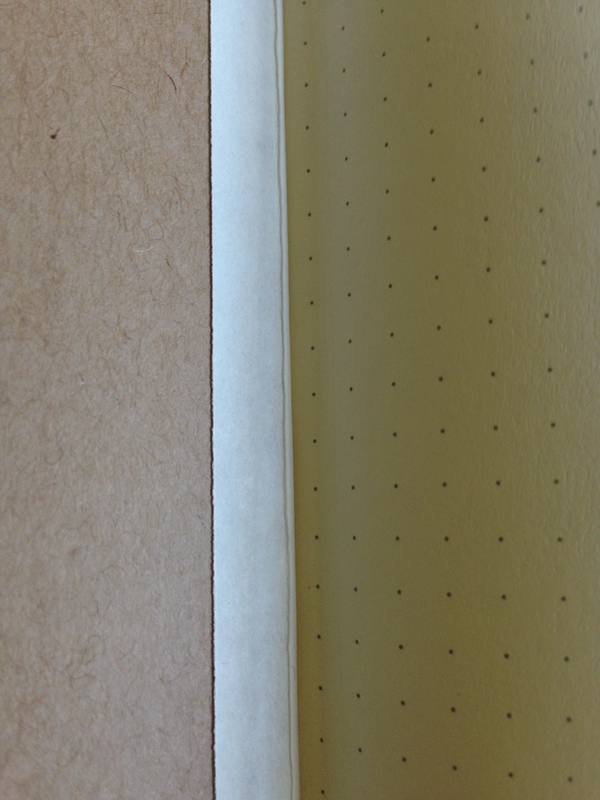 If you have a ruled notebook, you see lines instead of dots. A nice touch. You could easily title your notebook and write it on the cover. These will also be sketch-friendly. The acid-free paper is of high quality and made in the U.S.A. The paper is 50% post-consumer, smooth but not too smooth, and the perfect thickness. There is no significant bleed-through, even when using a fine fountain pen. I was impressed by this. There’s plenty of room, even in this compact and portable notebook–96 pages (48 sheets)–for ideas, plans, to-do lists, art, and anything else. You can learn more about the notebook here. One pays perhaps a higher price than expected for this notebook, but it is, of course, more expensive to make everything in the U.S. And this is a notebook that looks ready to stand the test of time. The 5-pack is significantly discounted, compared to buying a single one. You can see more Northbooks notebooks here. Many thanks to the fine folks at Northbooks for the notebook for review! Check them out here. But how does it compare to baron fig, leuchturm, and moleskine? 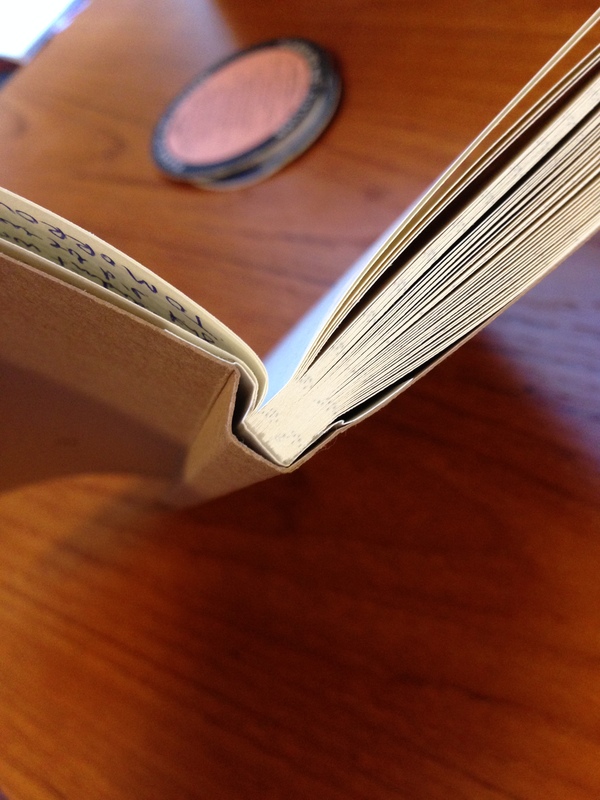 Forgot to mention–no ribbon marker, which I would’ve liked even in a smaller notebook. No closure strap–though I didn’t find myself feeling like I needed one. And no back pocket. 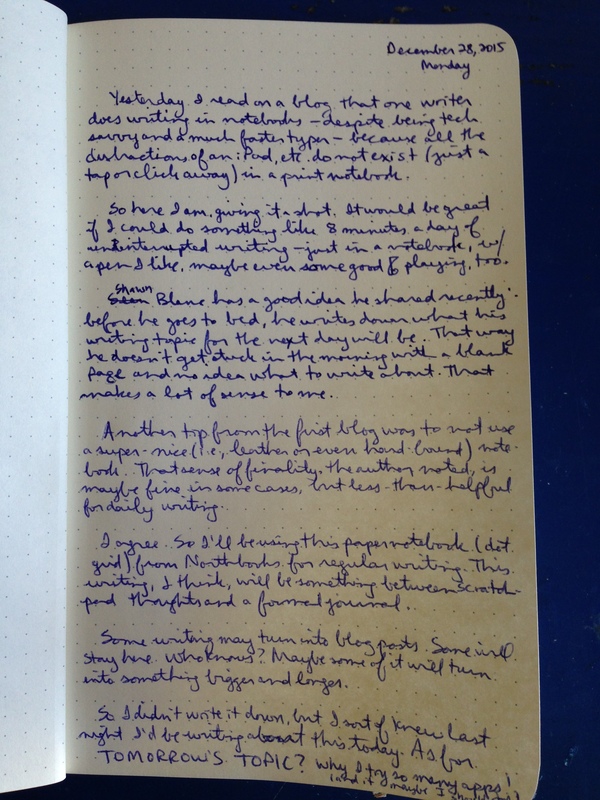 Great paper, though–better quality than some Moleskines I’ve used, though it’s been a good while since I’ve used Moleskine. Leuchtturm1917 might be the best in the biz, from what I’ve gathered so far. It’s a notebook. I use for everything from note taking to to-do lists. By the way what’s the name of that blue pen in the picture? That is the Kaweco Allrounder rollerball (ballpoint) pen!